Every year I intend to pray for my children daily. I know the importance of prayer. I know that nothing great can be accomplished without prayer. I know that prayer is the SINGLE MOST important thing that I can be doing as a parent. Yet, every year, I get to the end of the year and I realize that I did not pray for my children as much as I intended to. And, many times, the prayers I did pray were rushed and nonspecific. I want to change that this year. And I hope YOU want to change that, too. This year I have challenged myself to complete 365 days of specific prayer for my children. To help with this, I have provided a prayer calendar for each month with a new prayer suggestion for every day. I’m not going to limit myself to praying only for those items, and I am not going to tie myself down to the “schedule” so much that there is no spontaneity to my prayer life, but I am going to use the calendars to keep me on track and focused. And I would like to invite you to do the same thing. Imagine what this year could be like if every single one of us prayed specifically every single day for every single one of our children! I hope you join me in this!! 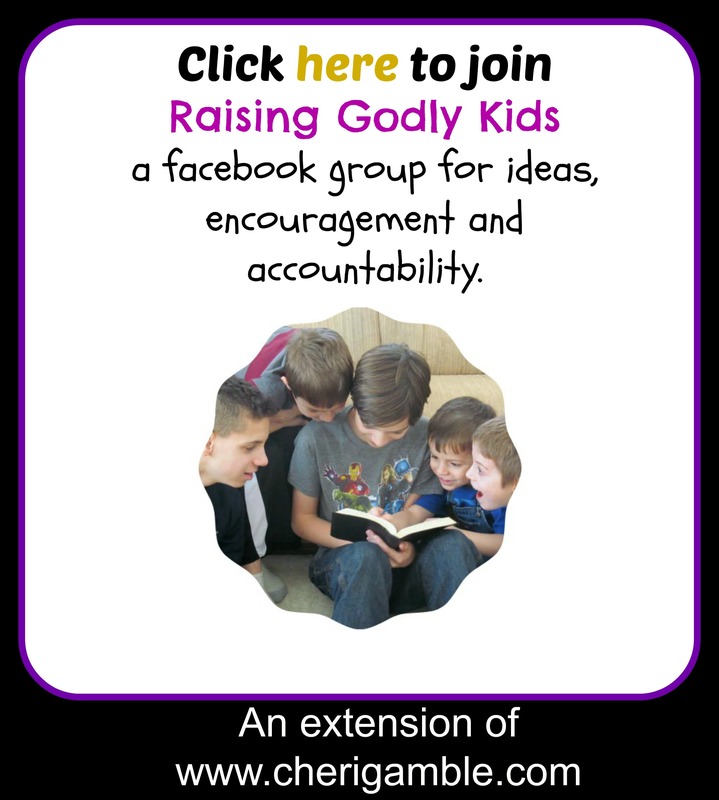 And, while you’re at it, why don’t you join our facebook group for more encouragement as you raise godly kids for Christ! Let’s help each other out as we strive to raise godly children in today’s society. Click HERE to see the calendar for February. You are absolutely right! We can always pray for our children (and should), no matter how old they are 🙂 Thanks for reminding me of that! One of the most profitable and best use of our time we can complete… praying for our children. Those prayers transcend time and we have no idea just how powerful they are. One of the best things we can do to help shape the next generation and to make an eternal difference in the kingdom is to pray for our children. Love your suggestions! I’d love to see this as a printable to keep on my bathroom mirror or in my car. Blessings to you this next year! Excellent idea to help keep your prayer life on track. One of the best things a mother can do for a child is to pray for them. Cheri, Our kids need our prayer to keep them safe daily. I love some of your suggestions. continue writing you are on the right track. Do you have one for praying for adult children? Not currently, although a lot of the topics can be adapted to adult children. I will try to get one up for adult children in the near future! Thanks for the suggestion!